Christopher brings a young and vibrant style to the classic art of magic and has travelled all over the world to study this great art form. From America to Singapore, Christopher has watched and worked with some of the best sleight of hand magicians in the world and learnt the mysteries of mentalism. 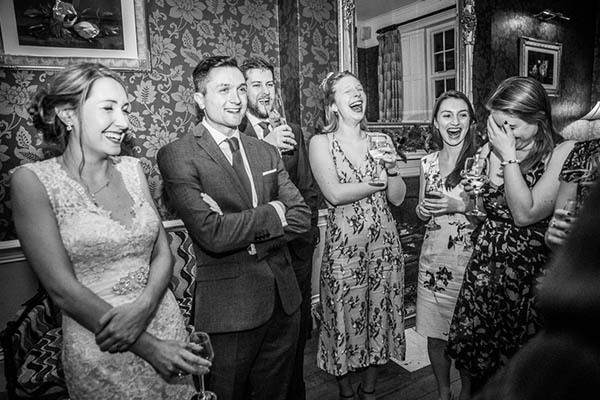 Christopher is flexible in his approach to each performance and your requirements, and will work with you to ensure your event is a great success whether formal (wedding magician), informal (party magician), small or extravagant! 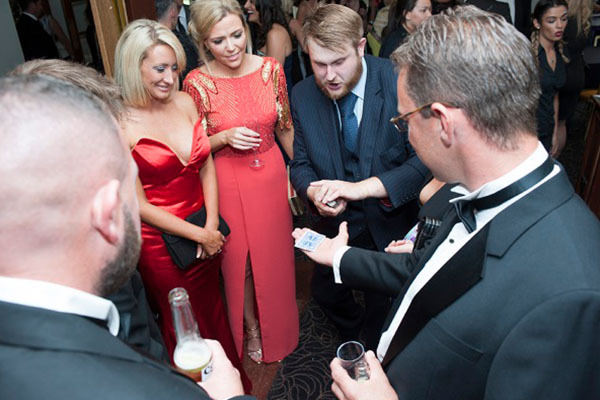 Christopher has been privileged to perform his magic for a huge number of celebrities including Sir Paul McCartney, Matt Smith, Hugh Bonneville, Nick Knowles, Abbey Clancy, Stephen Fry, Sir Rod Stewart, Alex Jones… the list goes on! And when some of the world’s best entertainers say things like “sheer brilliance”, “astonishing magic”, “a captivating performer”, “pure magic at its best”, and “a magnificent, eye-catching performance”, you know you’re in good hands! Many people love Christopher’s magic so much they want to learn a few tricks themselves. 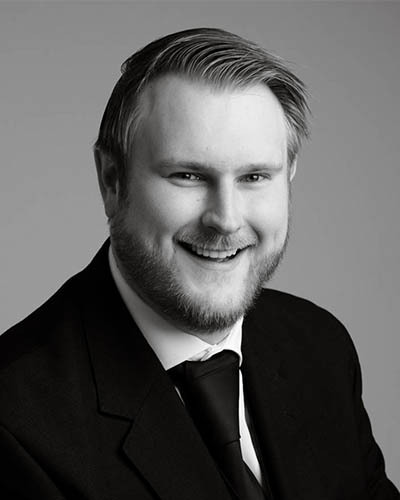 Christopher has given magic lessons to beginners of all ages, whether it’s at a children’s party, a corporate event or as one-to-one tuition. He also does magic lessons for after-school clubs - for group bookings the per person fee could be less than you think. Find out more. Each event is different and unique, so Christopher will make sure you get the most appropriate package for the occasion. 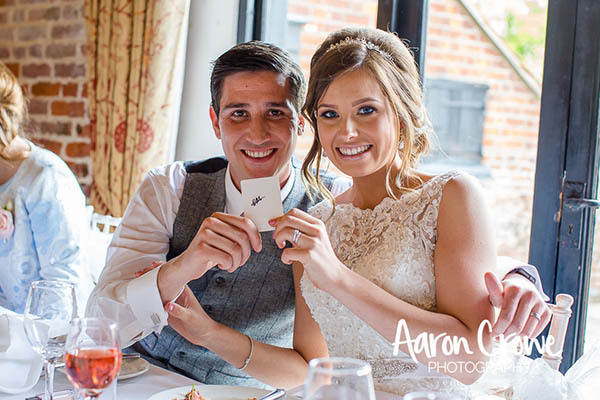 With years of experience as a top-class magician, he knows what works best and will be able to advise you on how he can help to make your event even more special, whether you’re organising a wedding, party, corporate event or cabaret. Performance time - when you talk to Christopher about your event and what you want him to do, he can let you know how much time you’ll need to book him for. Travel - Christopher is happy to perform anywhere in the UK or the world, but the amount of travelling he needs to do from his Hertfordshire base will affect his final fee. Magic lessons - you’ll need to let Christopher know how many people will be in the group. He will make sure everyone is given props as part of the lesson so they can practise their skills as much as they like afterwards. Generally speaking, people tend to book Christopher between 6 weeks and 18 months in advance. However, it’s always worth asking about his availability in case he’s free on the day of your event, and from time to time he does have a last-minute cancellation. As a member of Equity, Christopher is fully insured.